In 2015, SeekingSitters husband and wife team, David and Adrienne Kallweit, designed the Work/Life Balance Tour. The goal is to travel across the nation visiting franchisee owners and tell the SeekingSitters story. SeekingSitters was founded in 2004 in Tulsa, Oklahoma and franchised in 2006. SeekingSitters services hundreds of cities in 15 states. SeekingSitters is a nationally recognized babysitting service providing a reliable, convenient and trustworthy babysitting solution for families. 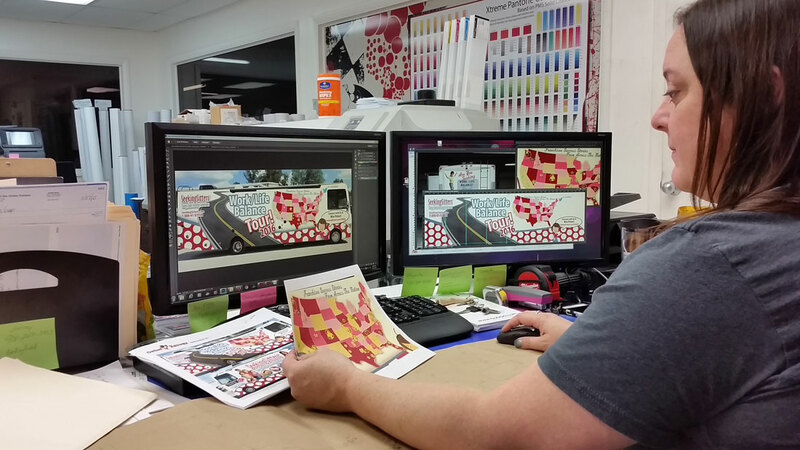 Adrienne worked with Transit Advertising, Inc.’s Art Director to design a wrap for the RV. The RV is the heart of the Work/Life Balance Tour and serves as a moving billboard that travels with them across the U.S. Utilizing SeekingSitters key messages, graphics, and the map of the United States, the final design was composed. Our team of expert installers wrapped the RV and in January 2016, the Kallweit’s were off on their tour of 28 locations in eight months. The wrap on the RV is designed to capture attention on the road and while the family is stopped at tour destinations. 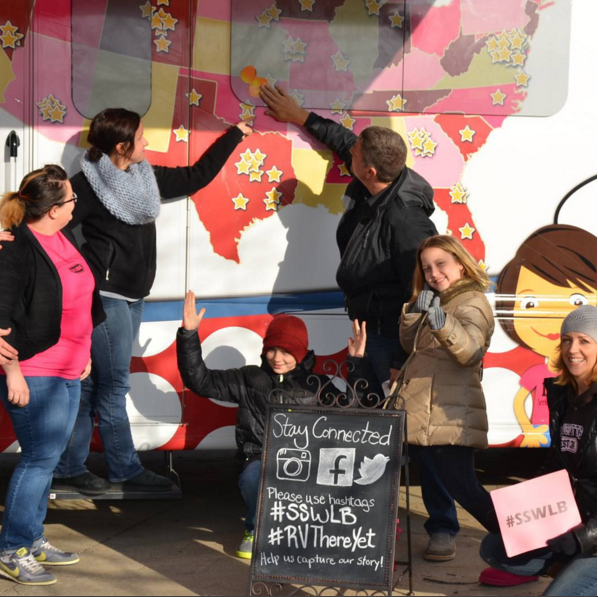 The Kallweit’s use the RV as a base camp for SeekingSitter events. Franchisee owners pin their location on the map on the side of the RV. The full Work/Life Balance campaign includes three online contests for their target audience to engage with the brand. The SeekingSitters Work/Life Balance Tour is a great example of how advertising on a transit vehicle can be used as the nucleus to a strong campaign that utilizes events, word-of-mouth, and social media. How could you tell your brand’s story with Transit Advertising, Inc.?